Seyfettin Gürsel'in Notları: Are the brakes burning? In my column of Feb. 11 (“Worries on economic growth”), I wrote: “… I think the available information summarized above is enough to allow me to express some reflections on an important consequence of low growth. Further loosening monetary policy would risk jeopardizing the 5 percent inflation target. If the Central Bank maintains its actual stance, the already existing signals of an upturn in unemployment would become more perceptible. This will increase, for sure, the political pressures on the central bank's management.” I was not mistaken. Economic policies have arrived at a crossroad. The soft landing that was desired did not occur. The landing was rather hard, as the 2012 growth rate is expected to certainly fall below 3 percent. 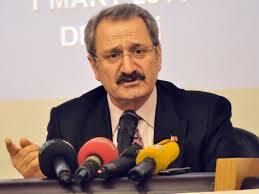 That said, Mr. Çağlayan is mistaken in believing that low growth is responsible for increasing unemployment. As I explained in my column on Saturday, despite the low growth rate, Turkish corporations and the state created lots of jobs last year, to the degree that the growth rate of employment exceeded that of gross domestic product (GDP). Unemployment is rising not because of insufficient employment but because of a strong growth of the labor force, particularly in the numbers of women. I believe these anomalies cannot maintain themselves, at least if economic theory and common sense prevail. I am afraid that Mr. Çağlayan, who hopes to see better figures in the coming months, risks being disappointed. If GDP growth maintains its pace at around 3 percent, rising employment will unavoidably decelerate. Even in the case of a deceleration in the growth of the labor force, I believe we should still expect rising unemployment. Unemployment is indeed the main threat to economic stability. I agree with Mr. Çağlayan that growth should be accelerated. The 6 percent target announced by the economy minister is out of range, but 4 percent is achievable. This could also be just enough to calm the worries regarding rising unemployment. But how? This is the critical question economists are asking themselves nowadays. The answers vary. The central bank and Treasury are confident that the 4 percent growth will come partly from external demand and partly from domestic demand. Let me remind you that last year domestic demand did not contribute at all to growth. However, the central bank and some economists do not think that radical changes in economic policies are needed. Some others, like Mr. Çağlayan, defend the argument that further loosening in monetary policy and the depreciation of the Turkish lira are necessary. At the moment, no one defends the loosening of fiscal discipline; Mehmet Şimşek, the minister of finance, announced last Friday that budget performance for the first two months is better than that of last year. This is good news. But if the state of the budget is revealed to be insufficient to revive domestic demand and/or exports fall further behind imports, what will happen to the moderately expansionist monetary policy and to the moderately tight fiscal policy? Personally, I think that there is no room for further lowering interest rates. The real interest rate has already come down to as low 1 percent, and the central bank is neither able nor willing to lower it. A limited depreciation of the Turkish lira will certainly aid growth, but the way to realize that process is not evident in the slightest. Thus it remains in the hands of fiscal policy. Let's hope that growth will resume in the coming months, just enough to stop the rise of unemployment and just enough to limit the unavoidable increase of the current account deficit.